Civil engineering is a professional engineering discipline that deals with the design, construction and maintenance of physical and natural built environment, including works such as bridges, roads, canals, dams and buildings. Civil engineering is the oldest engineering discipline after military engineering, and it was defined to distinguish it from military engineering. It is traditionally broken into several sub-disciplines including environmental engineering, geotechnical engineering, structural engineering, transportation engineering, water resources engineering, materials engineering, coastal engineering, surveying, and construction engineering. Civil engineering works are carried at all levels: in the public sector from municipal through to federal levels, and in the private sector from individual homeowners through to international companies. 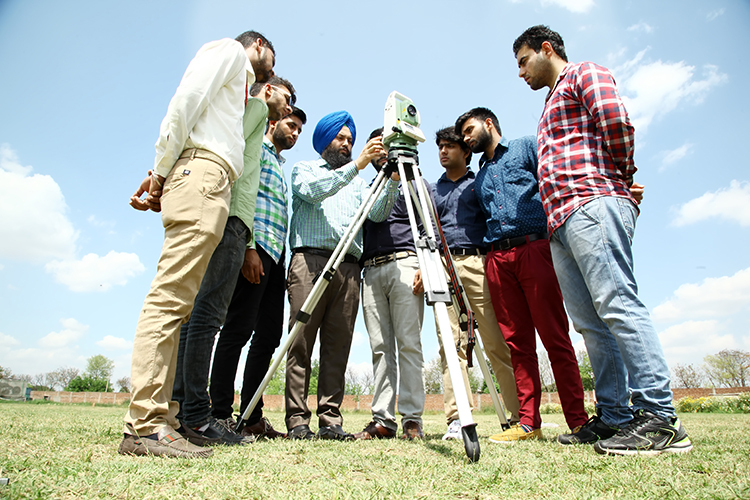 Civil Engineering now plays a major role in this new era of high technology in important fields like remote sensing, telecommunication, seismic construction and under- water structures. The Leaning Tower of Pisa in Italy, pyramids of Egypt, Eiffel Tower in France, and Taj Mahal in India at Agra are almost immortal works of Civil Engineering.